Keep your message in clear perspective. Passport wallet is designed for the frequent traveler for convenience and style. Turned-edge construction and rich silk moiré lining. 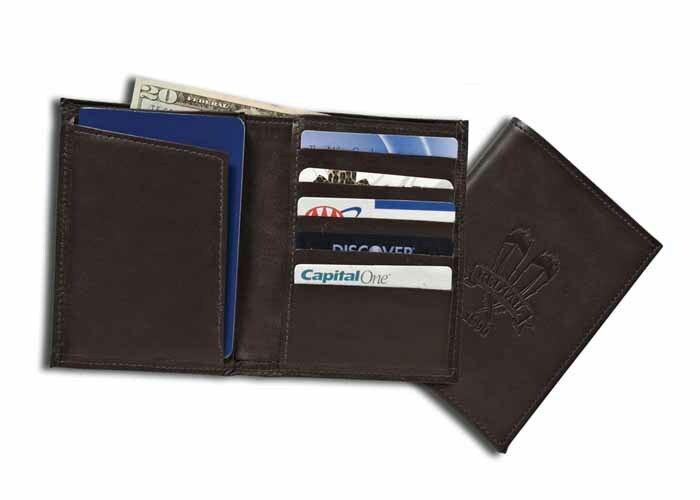 Features 5 card pockets and a full length compartment for currency. ere are compartments for you boarding pass and passport. Imprint Area: 2 x 2"